This is some serious chicken gravy for chicken stew! Mashed anchovy fillets (rinsed and dried before mashing) can be used instead of anchovy paste. Use small red potatoes measuring 1 1/2 inches in diameter. 1. Adjust oven rack to lower-middle position and heat oven to 325 degrees. Arrange chicken thighs on baking sheet and lightly season both sides with salt and pepper; cover with plastic wrap and set aside. 2. Cook bacon in large Dutch oven over medium low heat, stirring occasionally, until fat renders and bacon browns, 6 to 8 minutes. Using slotted spoon, transfer bacon to medium bowl. Add chicken wings to pot, increase heat to medium, and cook until well browned on both sides, 10 to 12 minutes; transfer wings to bowl with bacon. 3. Add onion, celery, garlic, anchovy paste, and thyme to fat in pot; cook, stirring occasionally, until dark fond forms on pan bottom, 2 to 4 minutes. 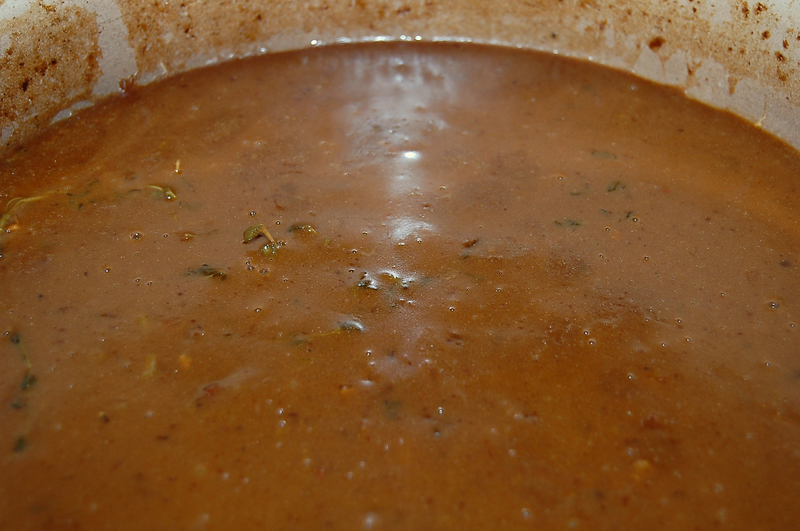 Increase heat to high; stir in 1 cup broth, wine, and soy sauce, scraping up any browned bits; and bring to boil. Cook, stirring occasionally, until liquid evaporates and vegetables begin to sizzle again, 12 to 15 minutes. Add butter and stir to melt; sprinkle flour over vegetables and stir to combine. Gradually whisk in remaining 4 cups broth until smooth. Stir in wings and bacon, potatoes, and carrots; bring to simmer. Transfer to oven and cook, uncovered, for 30 minutes, stirring once halfway through cooking. 5. 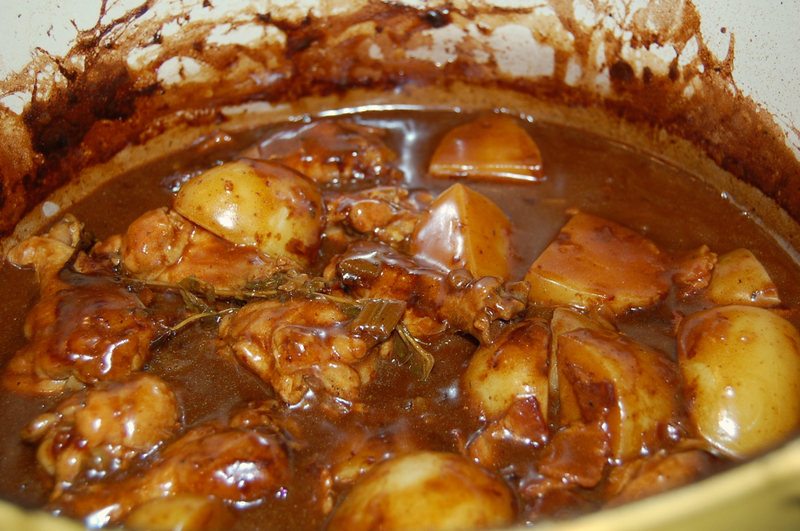 Discard wings and season stew with up to 2 tablespoons extra wine. Season with salt and pepper to taste, sprinkle with parsley, and serve.